The free low calorie cookbook turns supermarket frozen meals into gourmet delights for dieters who can’t afford Nutrisystem, Weight Watchers, Jenny Craig or BistroMD. 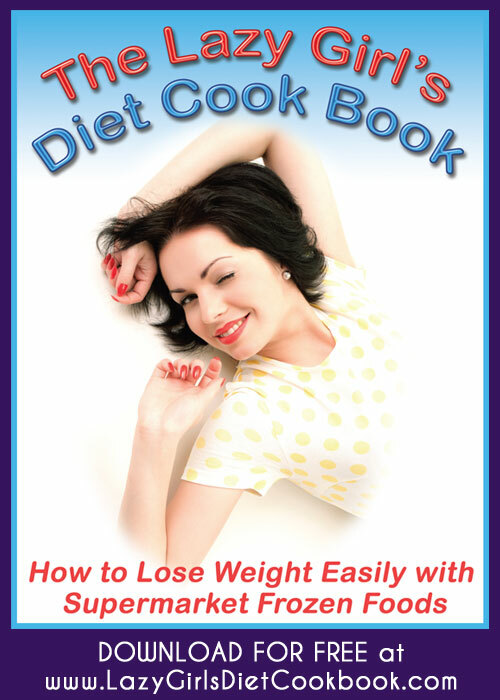 I Love This Diet announces the release of the “Lazy Girls’ Diet Cookbook: How to Lose Weight Easily with Supermarket Frozen Foods,” a free downloadable cookbook available at http://www.LazyGirlsDietCookbook.com. This unique diet cookbook shows readers how to turn common pre-packaged meals from the supermarket frozen food aisle into fun, low calorie gourmet feasts. The “Lazy Girl’s Diet Cookbook” features simple recipes using pre-prepared frozen entrees from Lean Cuisine, Healthy Choice and Weight Watchers Smart Ones as the starting point for culinary creations. The recipes within the cookbook require very little cooking. Readers will find meals like Portabella Parmesan Risotto flavored with fresh garden herbs atop a bed of spinach, and Swedish Meatballs with sweet and sour cabbage. The “Lazy Girl’s Diet Cookbook” makes eating on a diet fun, effortless and tasty. The “Lazy Girl’s Diet Cookbook” was created by I Love This Diet, which is a low cost alternative to plans like Jenny Craig, eDiets or BistroMD. I Love This Diet provides budget-minded and time-strapped dieters with a nutritionally balanced way to lose weight by dining on low calorie frozen meals from Lean Cuisine, Healthy Choice, Weight Watchers Smart Ones as well as Progresso Soups.